Warning. What you're about to witness is very, very adorable. Milkbarn kids (formally Zebi Baby) is nostalgic, yet modern, country, yet urban, rustic and yet clean, cool and timeless. Stacey and Haley are a mother daughter team (just like us) who love seeing the world through a child’s eyes. Their imaginations, their senses and their wonder – running, romping, daydreaming, gazing at the clouds. That’s what Milkbarn is all about. 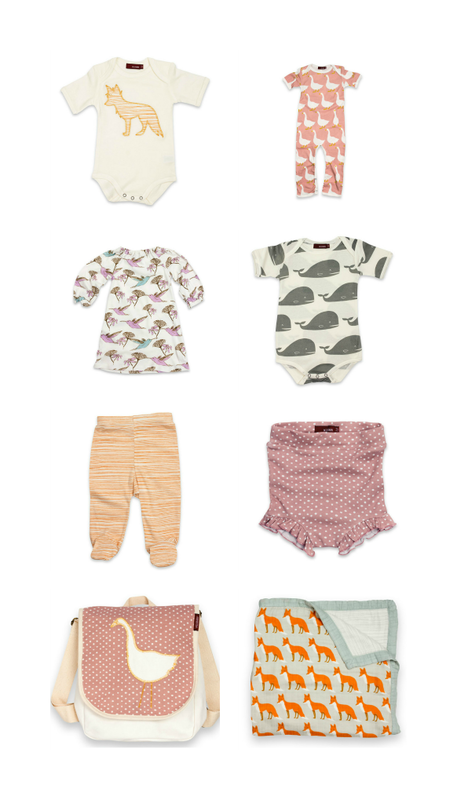 A fresh baby line printed with uncommon animals in rich but subtle colors of rose pink, steel grey, burnt orange and lilac purple. Who can deny a fox onesie or a goose romper? 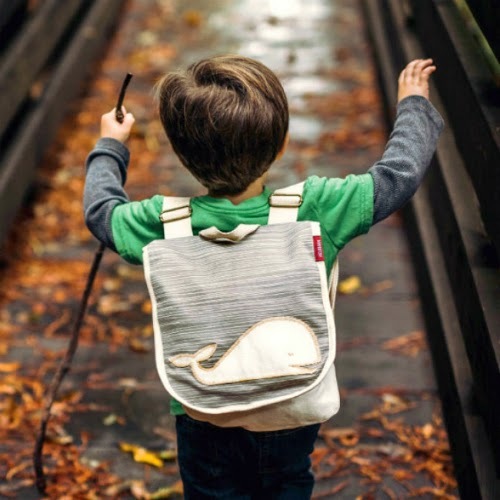 The whale is the perfect gift for an ocean side baby boy and the humming bird is an unexpected sweet print for any little girl. The full collection can mix and match animal prints with pin dots or pinstripes in pink, purple, gray or orange. The collection is made from either super soft, GOTS certified organic cotton or bamboo. Which is a very sustainable plant for it's quick growth and lack of pesticide use. It's nice to have the option of chemical free baby clothes if that is your cup of tea. And Milkbarn's fabrics are so soft and durable, even the non organic lover can love them too.